Nakamura Tokichi, originally from Kyoto, Japan, is one of those new spots in town Hong Kongers are crazy about. The queue can be of one hour if you're lucky. We were extremely lucky (as I think we always are, thank God!) because we run into one of J's friend who had taken 45 minutes ago 2 tickets: numbers 92 & 99, in case her wife didn't make it for the first one, since he arrived early. The wife made it for the 92 and he gave us the 99, instead of the 122 we had taken ourselves! Awesome!!! 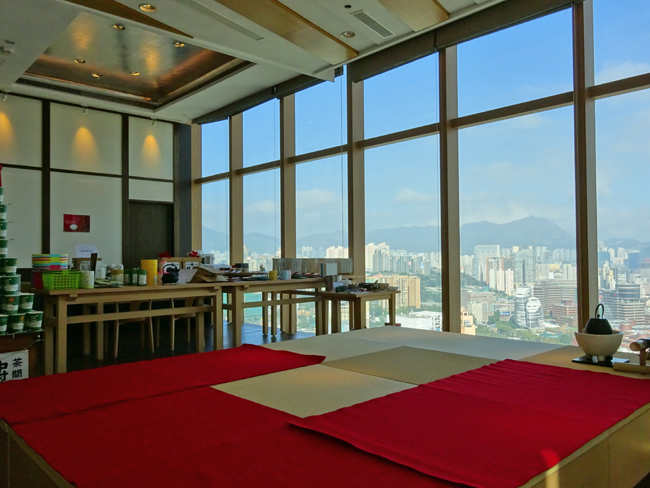 I was surprised by the beautiful Japanese decor and the amazing views of the harbour and Hong Kong's skyline. 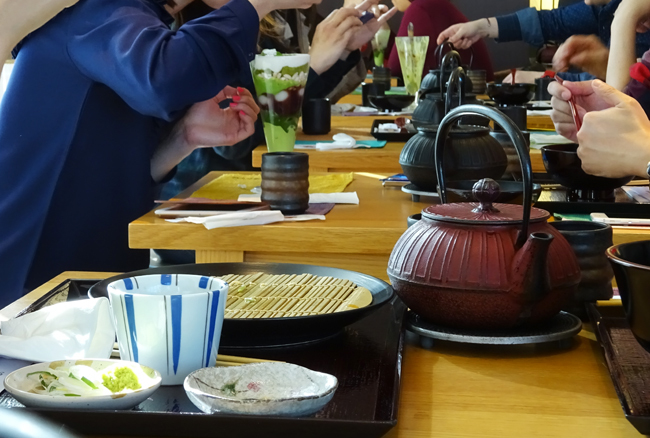 Nakamura Tokichi is famous for its Matcha Zaru Soba (cold noodles), and for its green tea desserts. Since we went there for tea, we had two desserts. 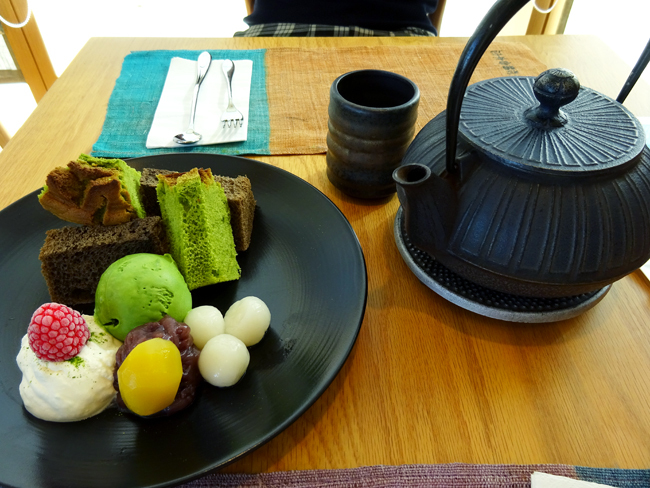 One (Kyo no Fukiyose) had cakes and matcha ice cream (best matcha ice cream ever! 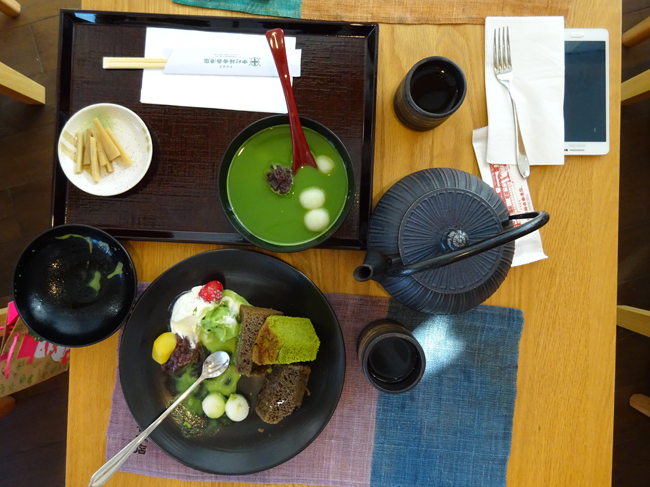 ), and the other was a hot matcha sweet soup with rice balls and azuki (red bean). They were really yummy and I was glad we went, although I won't be going again if the queue continues to be as crazy as now. 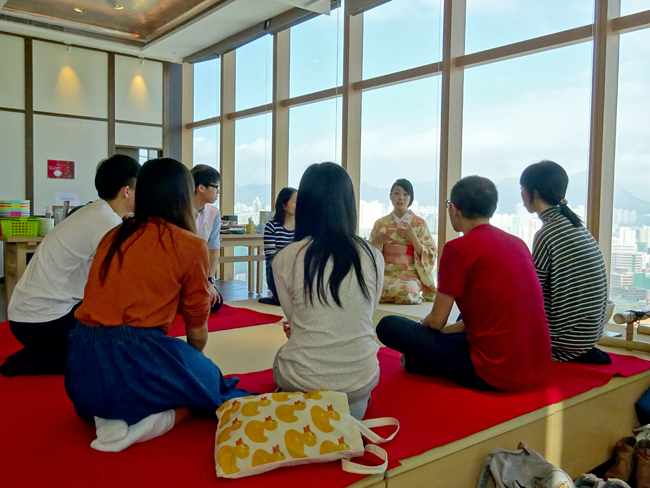 During our visit, a tea ceremony expert from Japan dressed in a kimono was there to teach a tea ceremony class in the tatami. From what I saw from Nakamura Tokichi's instagram, she flew in from Japan for three days exclusively to teach this class (three times each day I think). It looked really interesting, and was priced at $HK150 per person. Overall Quality: 4,5* (venue is great; food really yummy; long queue is horrible (not their fault, though!)) I particularly didn't like the fact that one of their most coveted desserts, a matcha mochi kind of slices, was sold out when we went, and apparently is sold out early everyday. Why not simply make more?! 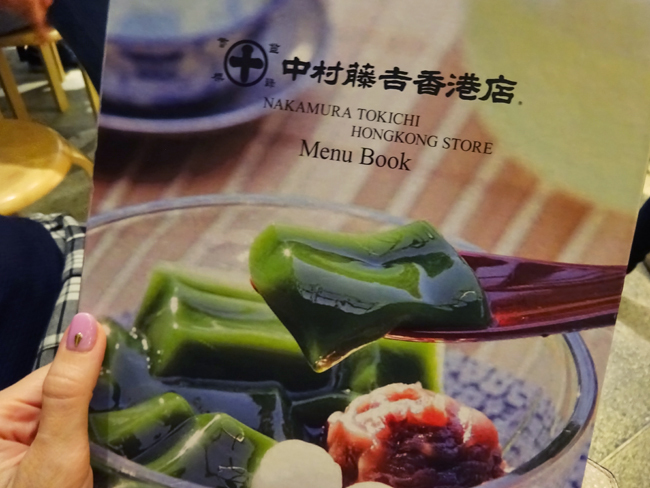 Price: pricey at around HK$65 for a matcha latte and between $HK80-100 for a dessert. Would I recommend it? I do and I don't at the same time. I think the craze needs to ease down a bit, otherwise queuing for an hour and a half is simply nuts. 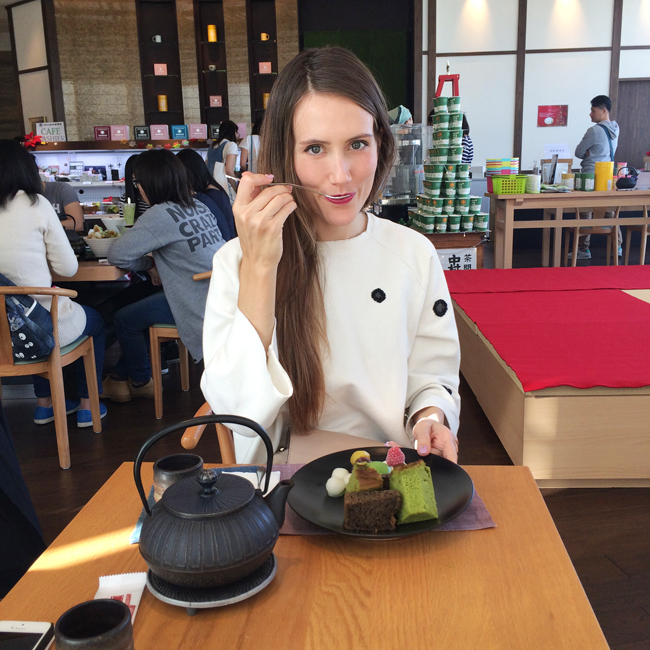 There's other places in town with yummy matcha desserts like this one!